Five Star Guitars has been serving Portland-area musicians for over 20 years. Just west of downtown, Five Star Guitars has a 7,500 square foot storefront with retail, repair, and lesson offerings. 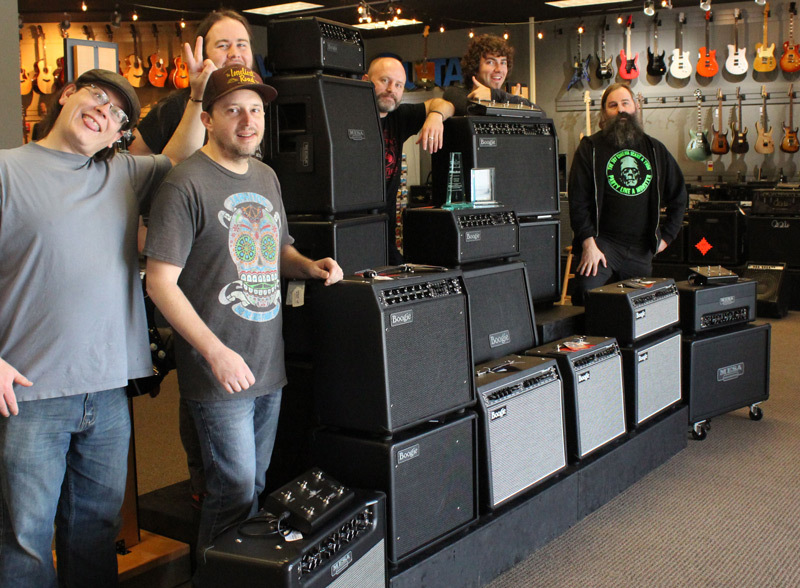 We are the only warranty repair center for Mesa (and a ton of other brands, instruments and amplifiers) in the area. 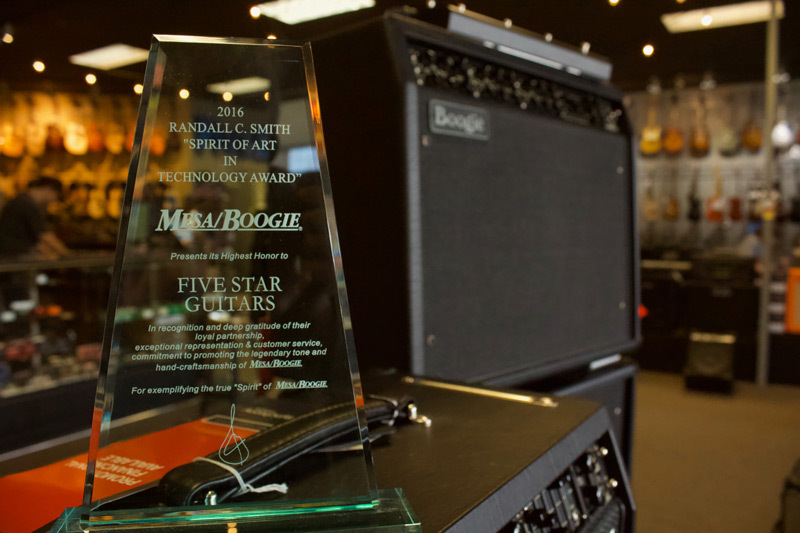 We have been a NAMM Top 100 Dealer for five consecutive years, and in 2018 we won “Best Store Turnaround” at Summer NAMM. We partner with a full roster of local instructors and have lessons going seven days a week, coaching students from their first lesson on through full-band stage performances and more. Five Star Guitars was founded in 1998 by Ken Potter. Three of his first hires in those early days included Jeremie Murfin and Geoff Metts as guitar instructors and Johnpaul “Jeep” Simonet as sales floor manager. In 2012, Jeremie, Geoff, and Jeep bought the business from Ken, who stayed on staff for over 2 years (now employed by his former employees!) and has maintained a close relationship with the shop ever since. Also, several of the current guitar instructors and sales staff are former students of Jeremie and Geoff and were longtime Five Star Guitars customers! We foster an inclusive environment for all age ranges and skill levels. By offering lessons and repairs we have created a musical hub for our community. We are also active in the business community through the Chamber of Commerce as well as music education nonprofits including the Oregon Music Hall of Fame. We have seen a real interest over the last six to eight years in low wattage tube amplifiers. Mesa has led the way by introducing great products like the Mini-Rectifier, the Express 5: 25 and the Mark Five: 25. Several manufacturers have tried to follow this trend - the difference is Mesa’s uncompromising approach toward quality and durability. Previous Post A Sharp Music Co.